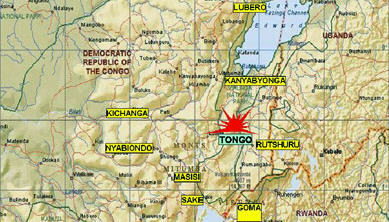 Army officials in the Democratic Republic of Congo say an air raid has killed more than 40 Rwandan Hutu rebels. The Thursday strike on the camp where leaders of the Democratic Forces for the Liberation of Rwanda were meeting also wounded several other rebels. The attack came after the Congolese government gave Rwandan soldiers the go ahead to join forces with its own troops in the east of the country to attack ethnic Hutu militia. The militia are seen as a root cause of instability in the region. Some of their leaders are accused of being behind the 1994 genocide in Rwanda. Meanwhile, a coalition of human rights groups says protecting civilians in the eastern Democratic Republic of Congo should be a top priority as Congolese and Rwandan government forces pursue their joint operation.